Finally, the most eagerly anticipated 2014 FIFA World Cup is knocking the door. As a loyal fan, it would be awesome if you have time and money heading to Brazil for the live game. Maybe you could even run into your favorite starts like Lionel Andrés Messi, Ricardo Izecson dos Santos Leite and Zinedine Yazid Zidane. While, most fans will repose on the couch and watch sports channels or YouTube videos for the latest tournament. I guess no one would miss any exciting match. Even if you are not available for the live ones, you will watch the World Cup videos on iPhone, iPad, Apple TV, Samsung Galaxy Note, PSP or other devices. However, there's still one thing to worry about: some device support only certain video formats, for instance, iPhone can only play MP4 videos. How to convert 2014 FIFA World Cup videos to any formats, so that you can watch the videos of each match on any desirable devices? Note: If you want to download Brazil FIFA World Cup videos, the Free YouTube Downloader can help you. DVD-Video FLV, VOB, XviD, MPEG, WMV, MOV, VOB, MKV, AVI, etc. HD MOV, HD MP4, HD MPEG, HD MKV, HD M4V (without DRM), HD TS, HD TRP, etc. MP3, M4A, AC3, AAC, WMA, WAV, OGG, APE, etc. Go get the free trial version and use the following tutorial to convert World Cup 2014 videos. Windows users should go for Video Converter for help. 2)	After importing videos, choose an output format for your videos on the left pane: Click the drop-down button and select your target output format in the popup. 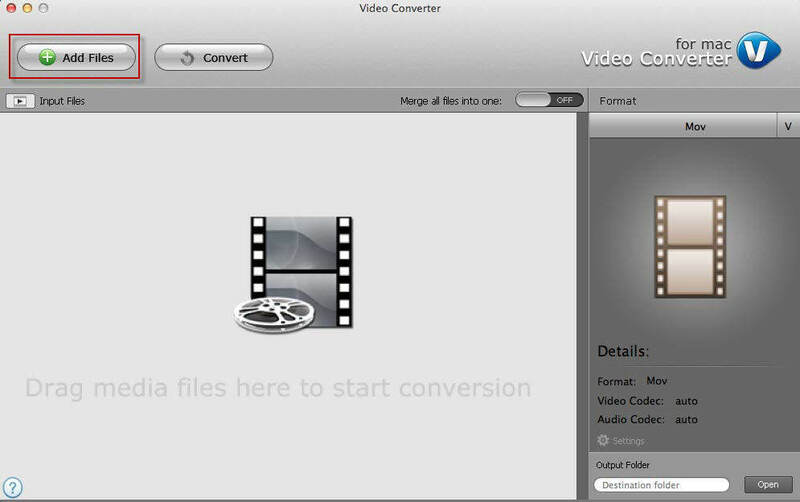 Video converter for Mac enables you to specify settings of converted videos. Click on "Settings" to set video parameters such as codec, frame rate and biter rate. 3)	At last, click on "Open" from bottom right corner, specify an output folder, and press "Convert" to start conversion. Besides the downloaded videos, you can covert recorded World Cup videos to desirable formats as well, so that they can be played on other devices.